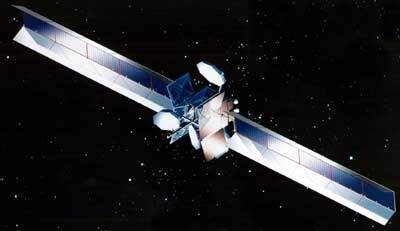 Anik F1 is a Canadian communications satellite, which was ordered in March 1998. It is based on Boeing's BSS-702 model. The satellite carries 84 active transponders: 36 in C-band and 48 in Ku-band. The spacecraft provides general telecommunications services for North and South America. The satellite was designed for an end-of-life power of 16 kW. Anik F1 was launched in late 2000 on an Ariane-44L H10-3 rocket. Anik F1 suffers from a generic failure of the early BSS-702 model: the fogging of the concentrator mirrors on the solar arrays leads to reduced available power. Anik F1 was replaced by Anik F1R with Anik F1 switching to serving only South America.